I was not eagerly awaiting the arrival of the new year, although it had many ups and downs I loved 2013. I came into my own last year, and was worried about what this one would have to offer, could I do it all again? So here's a resolution - 2014 - it's time to take things seriously. 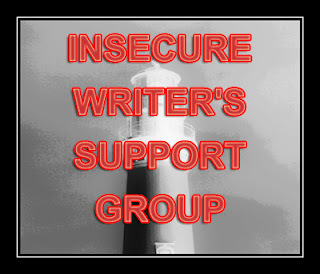 I know I declare this often, basically every second IWSG post really, but over the past year I have accumulated around 30,000 words, not even counting what was posted here. It's not a NaNo achievement sure, but that's 30,000 words of random pinterest inspired ramblings and flash fiction, 30,000 words across a dozen different stories waiting to be pieced together, 30,000 words waiting to be published. Considering I treat this life as an indulgence, a hobby, something I do when I'm in the mood, when everything else doesn't get in the way... I'm pretty proud of every single word. It's weird how a little bit of flash here and there can add up. Because in the end, this means so much more than just stringing words together, something to pass the time. It's not a hobby or an indulgence, it's my passion, right up there with music and icecream. I will prove it, and I will earn it, and I will keep making those words worth reading. I hope everyone who has enjoyed this place continues to do so, and know every comment, every criticism is so deeply appreciated. It's time to let these stories unfold. 30,000 words is impressive. Indulge in your passion. And ice cream. :) Happy new year! Happy New Year! And 30,000 words is awesome! Keep it up! Sounds like you did have a great 2013. Keep it rolling in 2014. 30,000 in 2013. That's great!